We have been professional horseman for over forty-five years. Raising and training horses is our only profession and we stay up to date and well informed in nutrition, health care, management and training practices. One does not maintain this intimacy with horses as their business without a sincere and genuine love of the animal. Read our Philosophy page for more insight as to what to expect boarding at our facility. The Kaiser family works closely with staff members supervising daily care. 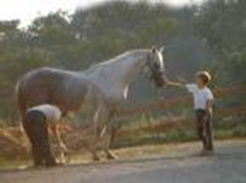 Proper nutrition, health care, and experienced observation is provided to all horses. We work together with owners, farriers, veterinarians, and other health care professionals to insure your animal receives the most appropriate care. We truly love the animal and care deeply for it’s health, well-being and happiness. Why customers choose our barn. There is the comforting knowledge that trained, experienced and capable personnel are available to aid those who require help with any equine issue. Whether it be regarding tack, health care, turnout, training/riding; all riders are encouraged to feel confident asking questions. 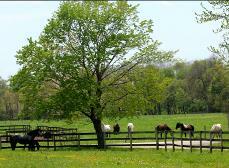 Daily turnout is extended to all horses. We have a policy of “no charge” for turnout, supporting our belief that exercise helps eliminate boredom and health/behavior problems that can result from stall confinement.